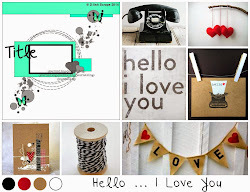 My Life As I Know It: Scrappers / card makers unite! Scrappers / card makers unite! As everyone, I am saddened by the complete and utter devastation of the Victorian bushfires. The loss of homes, businesses and whole communities but, more importantly, the loss of so many innocent lives. I can not even begin to comprehend what those poor people endured all I can do is imagine it to be like hell on Earth. There have been so many traumatic stories in the media this past couple of days but also many of bravery and comradeship. Australians have a way of bandying together in terrible times like these and it makes me even more proud to call myself an Aussie. 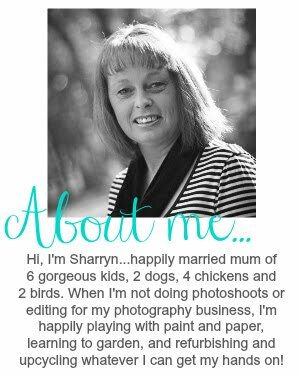 There is also one particular breed of Aussies that make me even more proud and that is our scrapbookers and card makers. I don't think I've ever met or been involved with a more sincere, genuine, caring, giving or compassionate group than those. One of these special girls is the lovely Sarah Gladman who is organising a wonderful tribute to those that have lost in Victoria by helping to re-build positive memories by way of scrapbooking layouts. She has called the project Memory Gifts and is asking for all scrapbookers to help out with donations of layouts to be given to families affected by the fires. Please check out Sarahs blog and if you can, help her out. Card makers please don't feel left out as Scrapbooking Memories are organising a card drive where we are asking for cards to be sent in, with sentiments, to be distributed also to families who have lost. Perhaps you could also make some thank you cards to the dedicated, hard working firies who have been working their back sides off trying to save what they can. These guys and gals are all heroes. Check out the thread in the forum for more details. However way you chose to help remember there is nothing too small. Every single thing counts. I know what you mean about us scrappers Sharryn ... it's totally mind-blowing huh! I have just popped onto your blog from Janelle Winds blog.Read some of your past blogs and noticed you are a fellow geocacher. My family adores it and have a few caches of our own out and about on the South Coast. I will be popping you in my faves to keep up with your scrapping and geocaching.